Honeymoons have always been special at Sandals Resorts and every honeymoon couple will receive special amenities including a bottle of champagne, breakfast in bed with flowers and a romantic turn down service. In addition to the complimentary extras, there are a variety of honeymoon packages which may be purchased “bundled” at a discount. Honeymoon “extras” may also be purchased separately and favorite items include a private candlelight dinner on the beach, a couples massage, Sandals butler service, or a session with a professional photographer recording romantic and playful moments in your choice of locations. 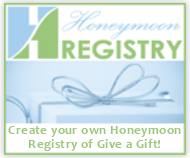 Another great option is to have family and friends purchase these items as a wedding gift and Sandals offers a free honeymoon registry complete with gift ideas and announcements! Sandals gift certificates can be redeemed for spa treatments, tours or other resort purchases or you can set up a complimentary honeymoon registry for everything on your wish list. If you need help choosing the best Sandals resort for your honeymoon or destination wedding group, please contact one of Totem Travel’s Sandals experts. We’ve been to all of the the Sandals Resorts including the two newest, Sandals La Source in Grenada and Sandals Royal Barbados, and can answer all your questions about the all inclusive couples only format, latest deals for Sandals Resorts, choosing a room category, honeymoon packages, spa treatments and more. We’ve been a Preferred Sandals Agency and one of Sandals’ “Best of the Best” travel agencies for years, have four Sandals specialists on staff and our personal and expert service is entirely free. If you aready have reservations for your Sandals honeymoon, you may request your complimentary honeymoon amenities by preregistering online at least 4 days prior to your arrival and faxing or emailing a copy of your wedding invitation or marriage license. 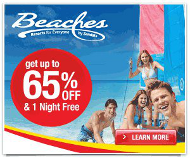 The fax number is (305) 468-6321 and the email is honeymoons@uvi.sandals.com. Don’t forget to include your booking number and date of arrival with your fax or email! 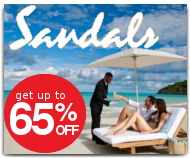 Get personalized help from a Sandals expert at no extra cost!